If you can’t measure it, you can’t prove it. Many B2B marketing departments are flying blind when it comes to revenue attribution and measuring the effectiveness of their programs. Static and complex spreadsheets don’t provide marketing analytics and are hardly capable of tracking today’s marketing performance, putting CMOs in a tough spot. It becomes a never­ending cycle of pushing out new initiatives without understanding what worked and what fell flat, wasting resources, time and opportunities. Marketers should have direct influence on product and brand strategy but business questions can never be answered unless gaps between CRM systems and marketing automation systems are filled. "We take our modern marketing very seriously, so we are always looking for ways to improve internal collaboration, optimize our view of activities and predictively model our success. Hive9 holds great promise to solving some key BtoB marketing challenges." 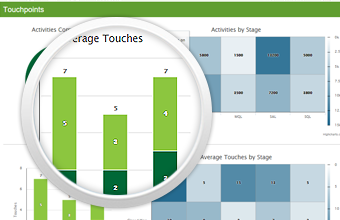 Using Hive9, CMOs have all of the marketing analytics they need right in front of them. Our cloud­-based solution offers real­-time, custom dashboards that bring together information from commonly used systems such as Salesforce.com, Oracle Marketing Cloud (Eloqua), Marketo, Omniture, Google Analytics and Oracle Financials, and more. Everything is visible. Everything is actionable. Hive9 fills the gap. Finally, a way to measure performance with standard reporting of actuals versus plan to drive better, faster decisions and continual improvement. Hive9 gives CMOs the insights into performance and the measurement capability required to justify spend and prove ROI. With Hive9, get dashboards in a week. 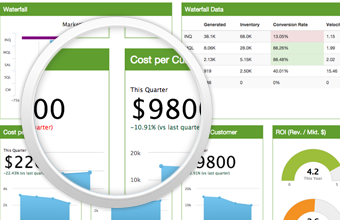 We believe marketing analytics software should make measurement easier. 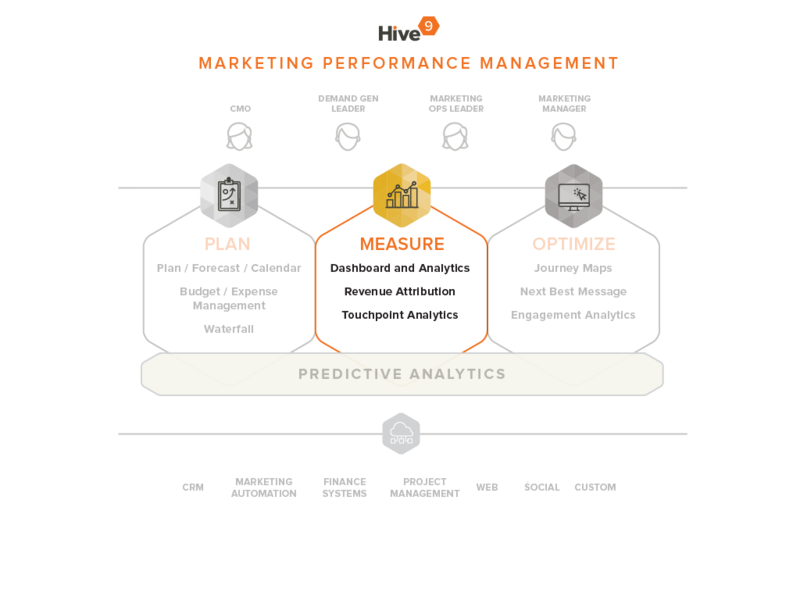 Hive9 provides the only marketing performance management solution to not only give marketers the ability to plan, but to predict campaign results and revenue impact and then measure actual marketing impact on revenue. Measurement is simplified yet provides real metrics that matter to marketers and the business ­-- metrics that clearly demonstrate marketing’s ROI. We do all the work and use our deep B2B experience to help you measure what matters. CMOs, breathe a sigh of relief. How are the conversion rates between stages in our waterfall performing over time? Where does my waterfall most need to improve? How can I attribute revenue to specific marketing programs? How are campaigns performing by product, region and vertical? What’s my share of voice? How are my Cost per MQL and Cost per SQL trending?